“I was quite surprised we made a second one I have to say. But I’m really glad we did! I tell you what, though, the first one was a joke because it was like, ‘Who’s going to write an album about cricket?’. And this one is a joke because, ‘Who’s going to write two albums about cricket? ?’” laughs Neil Hannon. Hannon and cohort/fellow sporting aficionado Thomas Walsh are in Dublin’s Brooks Hotel at the ungodly hour of 10am discussing their latest opus with Hot Press over some badly-needed caffeinated beverages. The album in question, Sticky Wickets, is the beguiling follow-up to The Duckworth Lewis Method’s eponymous 2009 Choice and Ivor Novello-nominated debut. The duo have again created a collection of shimmering pop gems. Sparkling arrangements, infectious melodies, and ravishing harmonies provide the perfect backdrop for cricket-themed, tongue-in-cheek playfulness. Like its predecessor there's a stellar supporting cast, this time in the form of Daniel Radcliffe, Stephen Fry and legendary cricket commentator Henry Blofeld to name but a few. The album was mostly recorded in Neil’s home studio with additional work done in Exchequer, the Dublin studio owned by Crowded House's Nick Seymour who also plays bass on the album. “Cathy (Davey, Hannon’s partner) and I have a little place to work in and basically Thomas and I took it over for most of the year,” Neil explains. Further recording and mixing duties were taken care of by Guy Massey. “I knew it wouldn’t be, ‘Let’s do the whole thing here and release it’," Thomas adds. "There has to be an element of it becoming a record for it to be a record. At that point it was still like very posh demos, but sounding wonderful. I knew there was going to be lots of strings on it. So I was just thinking, 'Let’s get someone who's good with strings like Guy to oversee it'. Neil's a strings fiend too, so he didn't need much persuading." “Every song we were playing Thomas would go, ‘I hear cellos! (impersonates cellos) C’mon you know you want to!’” smiles Neil. “He was the one that got away,” Neil rues. One that didn’t get away was Mr. Harry Potter, Daniel Radcliffe. Another lofty contributor comes in the form of Stephen Fry whose dulcet tones can be heard on ‘Judd’s Paradox’. “This is a bizarre one,” notes Neil. “I actually did the verses of ‘Judd’s Paradox’ about 15 years ago. They’re about a cricket moment in the film Another Country. It’s a conversation between Colin Firth and Rupert Everett. They're saying how strange it is that it’s such a wonderful game and yet it’s everything they despise about imperial England. The batsmen are obviously a metaphor for the aristocracy while all the fielders are the proletariat toiling in the fields. So I dredged it up for the album. Then, when we were writing, it didn’t make sense to sing them with the melody. So I was speaking them and thought, ‘I don’t have a good enough voice for this who does? And is Mr. Fry as intimidating and intelligent as one would imagine? “It was actually a very brief sojourn to his little voiceover studio in London,” Thomas explains. "He'd been on the Kate Bush album and said he'd found the experience a bit difficult, but on ours Stephen nailed it in two takes. An interesting little aside; Stephen and Daniel are both massive darts fans as well." Might it be that Jocky Wilson, Phil 'The Power' Taylor, Crafty Cockney Eric Bristow and Jim Bowen will feature on the Duckies' third album? "No because I hate darts!" says Neil looking horrified. "It's not sport, it's a hobby! If Thomas wants to slope off and do a darts album fine, but count me out." Oops, I may have triggered some arrows-related dissent in the ranks. Additional vocals on the Sticky Wickets title-track come courtesy of Nick Seymour’s Crowded House bandmate Neil Finn. “Neil Finn tweeted us that he heard we were doing an album and said he was looking forward to hearing it," Walsh continues. "And we were like, ‘Oh, you may just be able to help us out!' He sat in the Sydney Opera House dressing-room with a little machine and did about ten or twelve variations of the line and emailed them over." While Thomas has embraced the benefits of social media, Neil remains an entrenched technophobe. 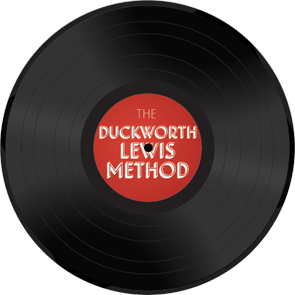 I've interviewed a lot of duos in my time, but none that are as comradely as The Duckworth Lewis Method. “I wreck yours!” counters Neil somewhat indignantly. 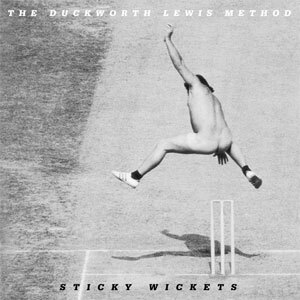 Sticky Wickets is out now on Divine Comedy Records.